Positive alpha-amino-3-hydroxy-5-methyl-4-isoxazolepropionic acid (AMPA) modulators enhance glutamate transmission via the AMPA receptor by altering the rate of desensitization; alone they have no intrinsic activity. They are the only class of compounds known that may pharmacologically separate AMPA subtypes. This manuscript will review preclinical work on positive AMPA modulators, with clinical examples where relevant. The activity of these compounds appears to be determined by the AMPA receptor subunit composition. Studies have shown that splice variant and/or subunit combinations change the desensitization rate of this receptor. Also, these subunits are heterogeneously expressed across the central nervous system. Therefore, the functional outcome of different positive AMPA modulators could indeed be different. The origins of this pharmacological class come from hippocampal long-term potentiation studies, so quite naturally they were first studied in models of short- and long-term memory (e.g., delayed match to sample, maze performance). In general, these agents were procognitive. 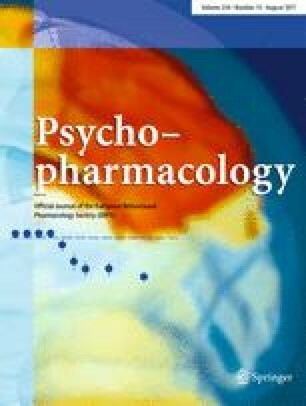 However, more recent work with different chemical classes has suggested additional therapeutic effects in models of schizophrenia (e.g., amphetamine locomotor activity), depression (e.g., forced swim test), neuroprotection (e.g., NMDA agonist lesions) and Parkinson’s disease (e.g., 6-hydroxydopamine lesion). In conclusion, positive modulation of AMPA may offer numerous therapeutic avenues for central nervous system drug discovery. The author would like to thank Beth Borowsky, Kathleen McMonagle-Strucko, and Sam Kongsamut for scientific and technical discussion during the preparation of this manuscript.